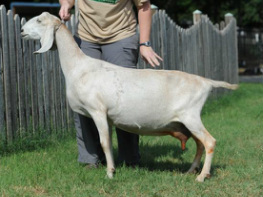 She freshened with a lovely udder in 2012. While she may have appeared small and didn't appraise highly as a FF, our experience with Lily, her dam, early on was similar. Her next appraisal confirmed what our intution told us. 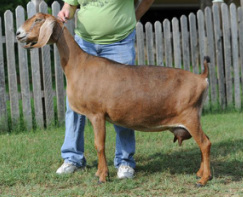 Music, like her dam, has mature slowly but is a solid and productive doe. 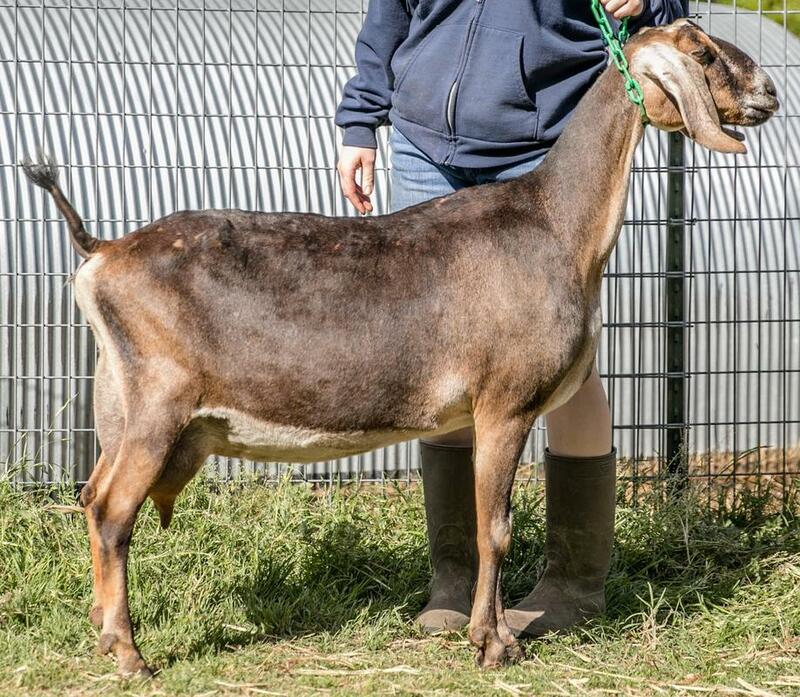 She was Reserve Champion at the 2015 State Fair of Texas despite being in an extended lactation ! Music is also an example of our belief/how we choose to work with the G6S defect in our herd. By testing, knowing genetic status and being transparent we have built upon a G6S carrier's lovely traits (Lily) and carried these forward in her beautiful (and G6S normal) daughter.